Aretha Louise Franklin (born March 25, 1942) is an American singer, songwriter, and pianist. 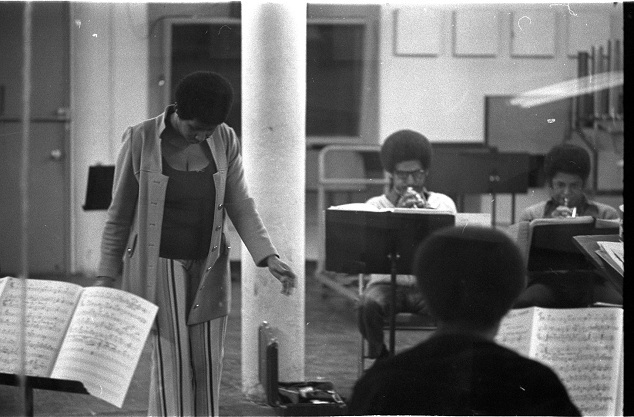 Although known for her soul recordings and referred to as The Queen of Soul, Franklin is also adept at jazz, blues, R&B, gospel music, and rock. Rolling Stone magazine ranked her atop its list of The Greatest Singers of All Time as well as the ninth greatest artist of all time. She has won 18 competitive Grammys and two honorary Grammys. She has 20 No.1 singles on the Billboard R&B Singles Chart and two No.1 hits on the Billboard Hot 100: "Respect" (1967) and "I Knew You Were Waiting (For Me)" (1987), a duet with George Michael. Since 1961, she has scored a total of 45 Top 40 hits on the Billboard Hot 100. She also has the most million-selling singles (14) of any female artist. Between 1967 and 1982 she had 10 No.1 R&B albums—more than any other female artist. In 1987, Franklin became the first female artist to be inducted into the Rock and Roll Hall of Fame. 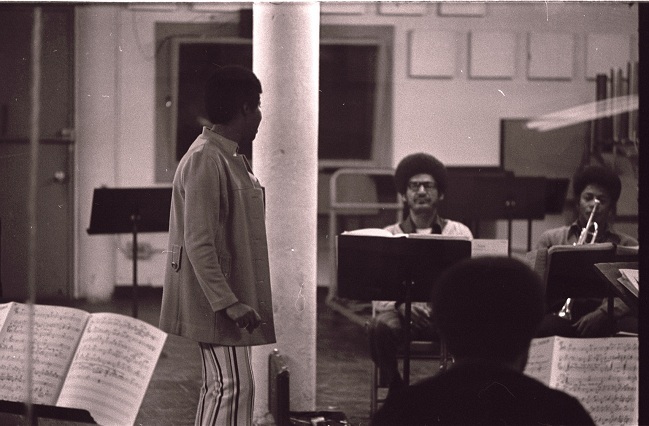 Aretha Franklin and Jerry Wexler. Photo courtesy of Glenn Coleman. She released her first single for Columbia in September 1960, aged 18. It reached No. 10 on Billboard's R&B chart. Her first album was released in January 1961. 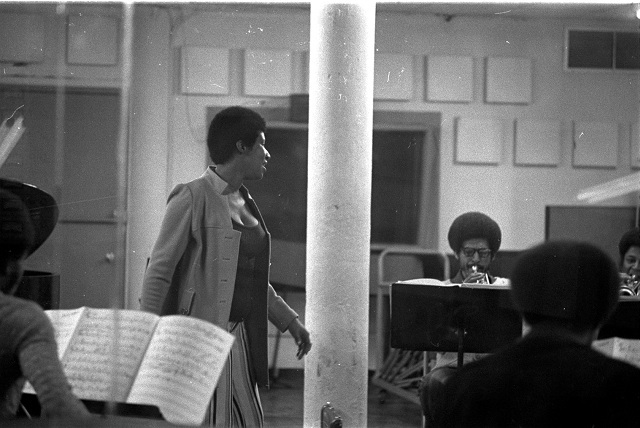 The label had her record mainly jazz-influenced pop music, hoping for success with this format as the label had with Billie Holiday. Columbia founder John H. Hammond acknowledged in an interview years later that he felt Columbia did not really understand Franklin's background in gospel and failed to bring that aspect out in her secular recordings. After scoring two more Top 10 R&B hits with "Operation Heartbreak" and "Won't Be Long" in 1961, Franklin scored her first Top 40 pop hit with her rendition of "Rock-A-Bye Your Baby With a Dixie Melody". Later releases failed to find similar success, although Franklin had a near-Top 50 hit with "Runnin' Out of Fools" (1963). After the release of a tribute album to Dinah Washington, Columbia drifted away from their early jazz dreams for Franklin and had the singer record renditions of girl group-oriented hits including "The Shoop Shoop Song (It's In His Kiss)", "Every Little Bit Hurts" and "Mockingbird" but every attempt to bring her success with the material failed. This did not, however, prevent her building a reputation as a multi-talented vocalist and musician. During a show in 1965, the master of ceremonies gave Franklin a tiara and declared her "the queen of soul". The title would prove to be prophetic. 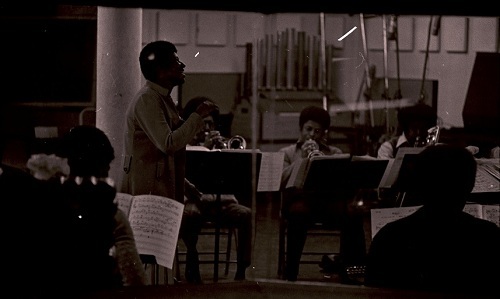 By 1966, struggling with recording for Columbia, Franklin decided not to sign a new contract with the label and settled on a deal with Atlantic. After she gained success at Atlantic, Columbia began releasing Franklin material from its vaults, and continued doing so until 1969. 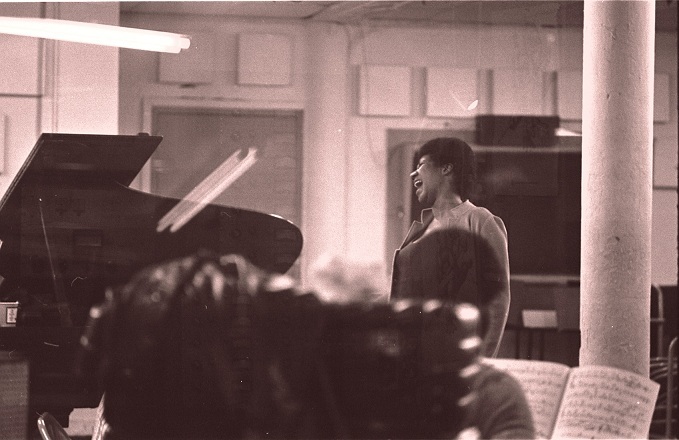 Franklin began recording her first songs for Atlantic in early 1967. 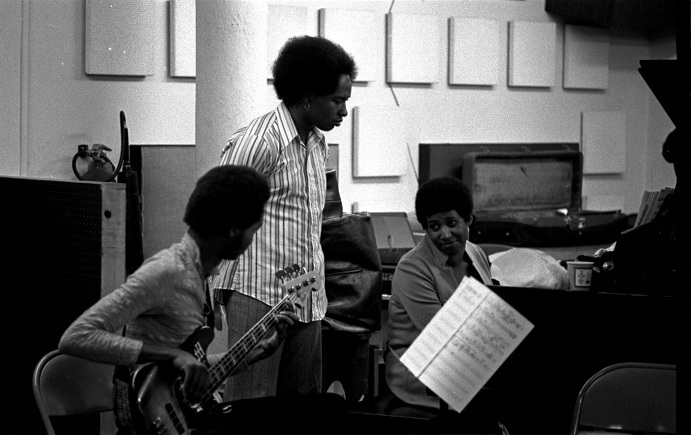 Initially sent to Muscle Shoals's legendary FAME studios where the Muscle Shoals Rhythm Section was the in-house band, Franklin cut her first song – the blues ballad "I Never Loved a Man (The Way I Love You)", which finally allowed Franklin to show her gospel side. 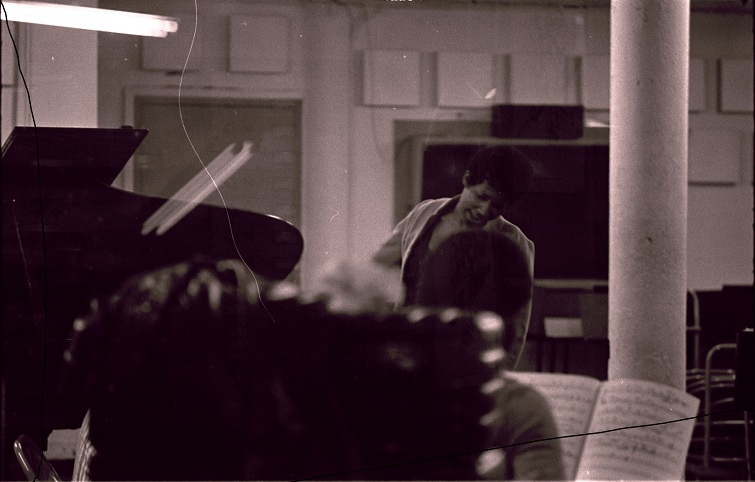 Tensions between Franklin's then-husband and then-manager Ted White and a musician led to Franklin and White hiding from public view in New York. 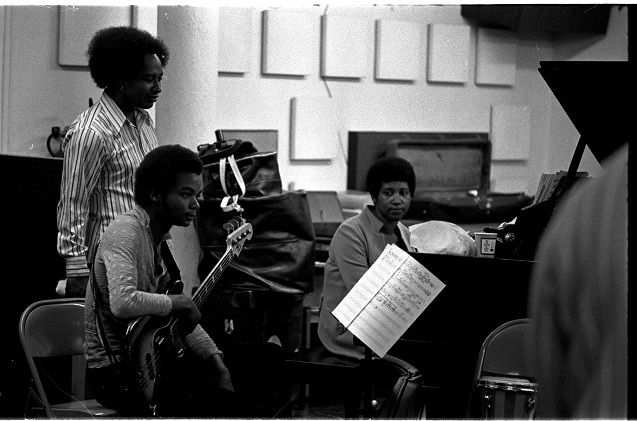 Franklin eventually returned to the studio in New York to record the b-side, the gospel-oriented "Do Right Woman, Do Right Man". "I Never Loved a Man" soared up both the pop and R&B charts upon its release peaking at number-nine and number-one respectively. Her second single with Atlantic would also be her biggest, most acclaimed work. "Respect", originally recorded and written by R&B singer Otis Redding, would become a bigger hit after Franklin's gospel-fueled rendition of the song. 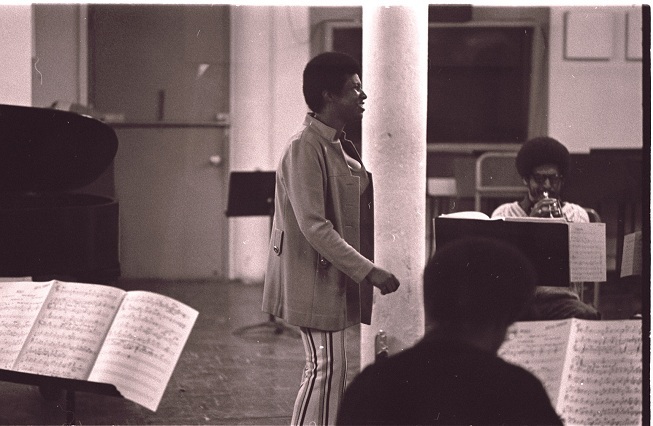 The song also started a pattern of Franklin in later songs during this period producing a call and response vocal with Franklin usually backed up by her sisters Erma and Carolyn Franklin or The Sweet Inspirations. 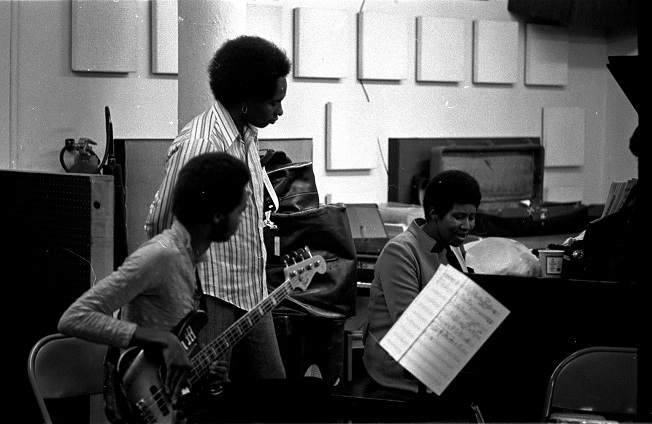 Franklin is credited with arranging the background vocals and ad-libbing the line, "r-e-s-p-e-c-t, find out what it means to me/take care of TCB", while her sisters shouted afterwards, "sock it to me". 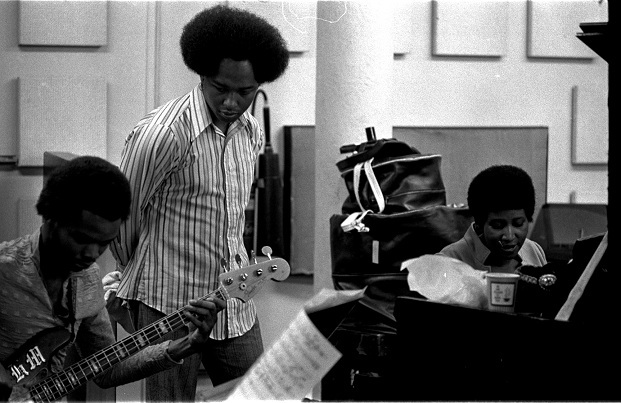 Franklin's version peaked at number one on the Billboard Hot 100, becoming a sixties anthem. Franklin had three more top ten hits in 1967 – "Baby I Love You", "(You Make Me Feel Like) A Natural Woman" and "Chain of Fools". "Respect" later won Franklin her first two Grammys. She eventually won eight consecutive Grammys under the Best Female R&B Vocal Performance category. 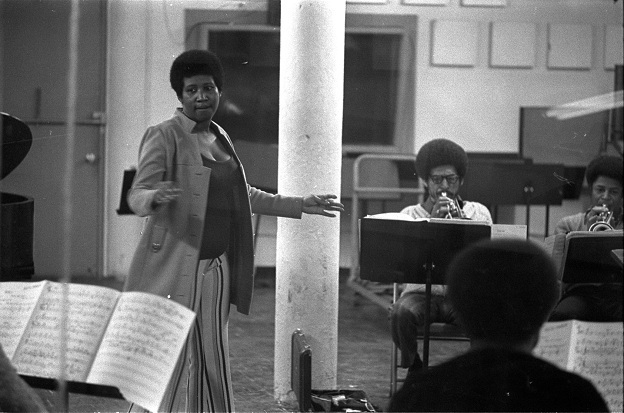 By the end of the year, Franklin not only became a superstar but she stood as one of the symbols of the civil rights movement partially due to her rendition of "Respect", which had a feminist-powered theme after Franklin recorded it. Franklin's other hits during the late sixties included "Think", her rendition of Dionne Warwick's "I Say a Little Prayer", "Ain't No Way" and "The House That Jack Built" among others. 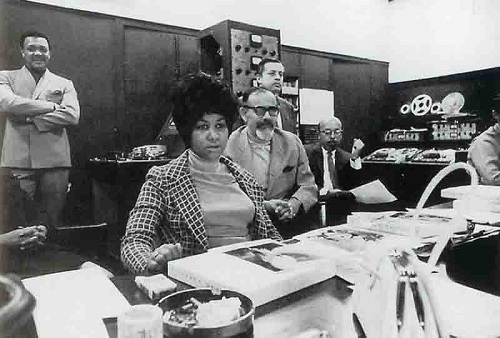 By the end of the sixties, Franklin's title as "the queen of soul" became permanent in the eyes of the media. 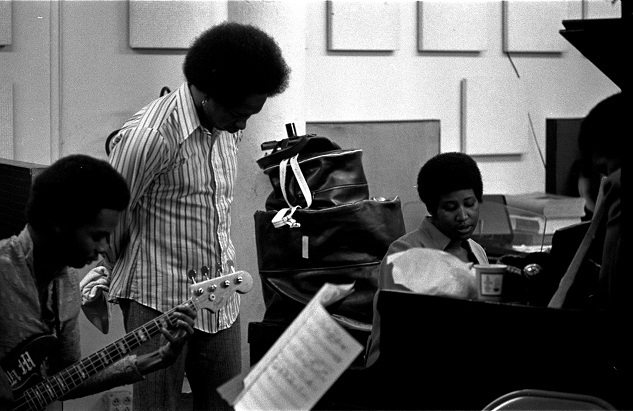 After a few struggles in 1969, she returned with the ballad, "Call Me" in January 1970. That same year she had another hit with her gospel version of Ben E. King's "Don't Play That Song", while in 1971, Franklin was one of the first black performers to headline Fillmore West where she later released a live album. That same year she released the acclaimed Young, Gifted & Black album, which featured two top ten hits, the ballad "Daydreamin'" and the funk-oriented "Rocksteady". 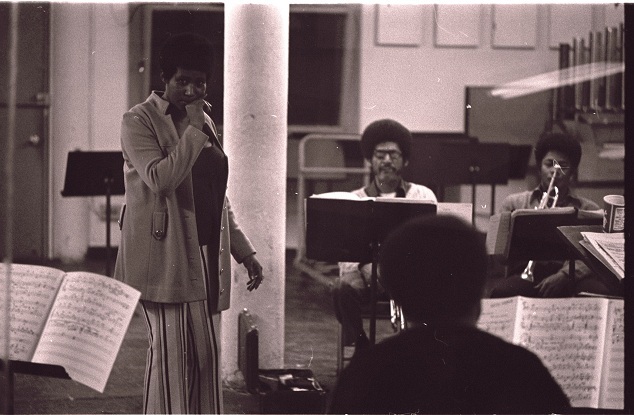 In 1972, she released her first gospel album in nearly two decades with Amazing Grace. The album eventually became her biggest-selling release ever, selling over two million copies and becoming the best-selling gospel album of all time. Foundational text courtesy of Wikipedia. 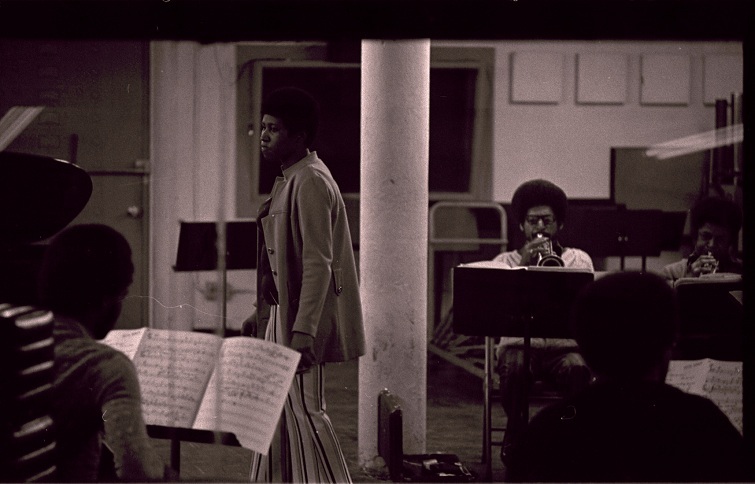 Below is one of numerous Aretha Franklin sessions that took place at Sound Center Recording Studios, NYC. 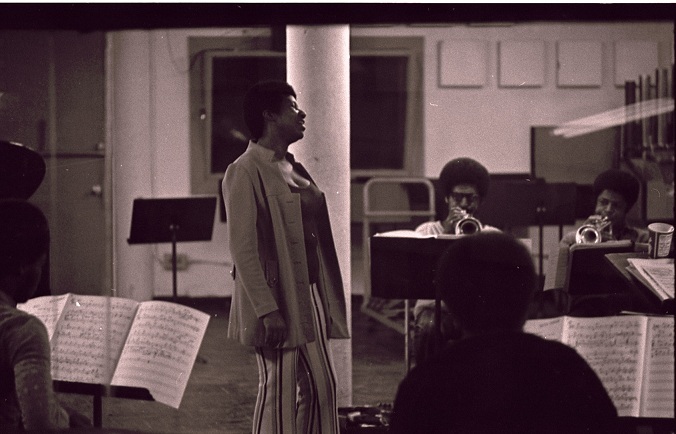 during the mid 1970's - Photos courtesy of Chris and Phyllis Juried. 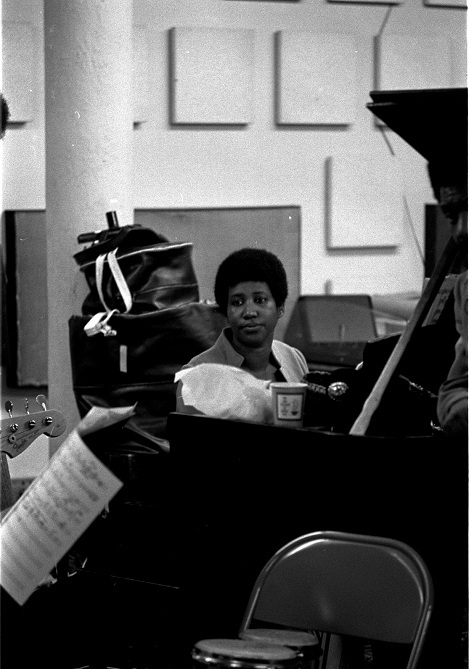 - Aretha Franklin - Sound Center Studios, NYC circa mid 1970's - Photos courtesy of Chris and Phyllis Juried. Write about Aretha Franklin ! Do you have content or pictures, to add, of Aretha Franklin ? Do you just want to say "Hello!"? Please feel free to Share it, here!